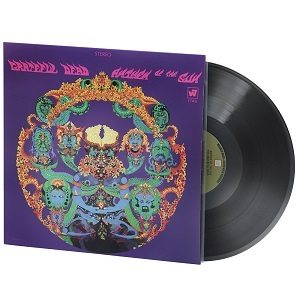 This copy of Grateful Dead's Anthem of the Sun vinyl LP Is cut from the original analog master tapes and the packaging is replicated to the finest detail. Experience The Grateful Dead through this meticulous blend of live and studio tracks. This vinyl LP is restored to the original 1968 mix and hasn't been available on vinyl since 1972.